Twitter is one of the most effective social media networking site that allows you to get updates of the people you want to follow. The best thing is that it provides an innovative way to convey your messages by the posts containing 140 characters maximum. Often tweets are too effective to go viral rapidly across the social media. Communicating with followers and following ones creates such chaos that you need to manage twitter account very often. 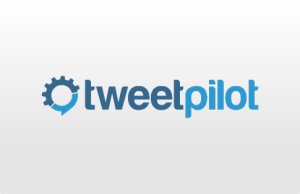 TweetPilot is a web based tool dedicated to small businesses that manages twitter account for better relevance and responsiveness. The tool enables you to manage everything that twitter offers without any fuss through a neat interface. TweetPilot offers three editions- Free, Pro and Agency. Free edition is for 1 twitter account per user and 25 follows per day, while the Pro edition costs $9.95/mo for 1 Twitter account per user and 1000 follows per day. Agency edition costs $49.95/mo for unlimited Twitter accounts and 1000 follows per day. The great thing about the tool is that it caters automated direct messages with all the plans. The tool lets you take a glance over statistics and followers count right from the dashboard. It also lets you know recent followers and non-followers. The tool lets you get suggestions of people you should follow based on your Twitter activity. You can find new followers using keywords, phrases, @mention and #hashtags. You can also search followers by usernames. With clean up facility, you can remove the ones who don’t follow you back and inactive accounts. The tool has an automatic facility to block spam accounts. The great feature makes your twitter clutter-free. The tool lets you search tweets using keywords or phrases. You can enter the exact phrase between “” quotation marks or use OR for one of the two phrases. The tool allows you to select context, whether it is positive, negative or a question. The tool allows you to enlist your favorite contacts in Whitelist that you don’t want to lose. Whereas, you can list down those contacts to the Blacklist from whom you don’t want to get messages. The tool is accessible through mobile browsing, but it does not offer mobile apps. The tool has powerful integrations with Twitter. The tool provides support via help guide and Email. Social facilities such as @mentions, #hashtags and more. Cost effective for small business and startups. The tool gives access to 1 Twitter account per user only in the Free and Pro plans. There is no streamline for the tweets in real time. TweetPilot is a handy tool with great features for those who make Twitter as a part of their business or marketing aspects. The tool has every facility at the right place so that you never get confused managing a large network of followers. 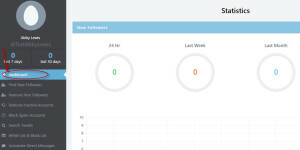 The stand out features of the tool are automated direct messages, insightful dashboard and easy to understand interface. It makes Twitter easy so that you can focus on more business like generating more leads. For more details, please visit: Tweetpilot website.